Around 200 public sector specialists from 20 countries in Eastern Europe and Central Asia gathered to discuss how to involve citizens so they can truly drive development efforts while making the public sector more efficient in the process. 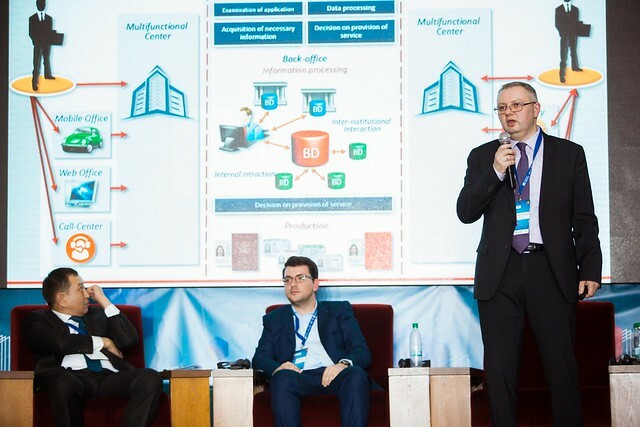 “In 2016 the Government of the Republic of Moldova adopted the Public Administration Reform Strategy and a National Action Plan which focuses on modernization of public services. According to the Government’s vision, these should be developed and administrated for and together with citizens. Only so public services will be accessible in terms of public institutions infrastructure, costs, simplicity and clarity”, noted Lilia Palii, General Secretary of the Government of the Republic of Moldova. The event features speakers from both government and grassroots organizations. During the event, new models for effective public service delivery are being presented. These include socially innovative approaches to design, deliver and monitor public services. Guided by the experience of Georgia and Estonia, Moldova aims to increase efficiency while providing better and more user-friendly services to citizens and business, while contributing to national efforts to reduce corruption and increase transparency. Additionally, best practices of UK, Finland and Malaysia inspire Moldova to embrace experimentation as a part of policy-making process and to improve Government’s capacity to efficiently, effectively deliver public services and provide qualitative policies. “The second year of SDGs implementation clearly shows that it will be a huge challenge to achieve a sustainable future. Social Innovation, and especially Labs and Delivery Units, have an important role in this effort since they can generate the new solutions at the scale and speed corresponding to Agenda 2030 ambitions. They are also good platforms to involve citizens in user-center policy design and for making Governments more open, transparent and accountable. This is what we are discussing now in ‘Innovation in Governance Regional Forum’ in Moldova with participants from more than 20 countries”, said Rastislav Vrbensky, Deputy Director, UNDP Europe and the CIS. It is now widely recognized that the Republic of Moldova is highly experienced when it comes to innovation in development. The Moldova Social Innovation Lab (MiLab) - a joint project of the United Nations Development Programme (UNDP) and the State Chancellery – has pioneered design for people, the use of alternative data sources and citizens-generated data, all of which have already benefitted the public sector. In a new initiative, for instance, citizens will make soon suggestions on a dedicated platform on how to improve public services as they experienced them. Further, alternative methods are being tested for a population census, based on electricity consumption data. Separately, a new website was established, allowing people to report irregularities in the public sector. Across the region, citizens have higher expectations when it comes to public policy-making. However, obstacles still remain to make sure all women and men benefit from the policies and actions provided by governments. This has meant that governments need to adapt and respond to these emerging demands and needs, and set clear development targets, while monitoring results more thoroughly. The forum is expected to yield new ideas on how to promote collaboration, facilitate the development of new e-governance mechanisms and continue to introduce new methods within government. About the event: The United Nations Development Programme (UNDP) and the United Nations Entity for Gender Equality and the Empowerment of Women (UN Women) organized the 3-day “Innovations in Governance Regional Forum: Making Progress in achieving Sustainable Development Goals (SDGs)”, in partnership with the State Chancellery of Moldova.